Just the facts. Bombay Black rocks. Here's their fifth album, Bullets and Booze, a fine blend of classic American melodic hard rock touched with a metal edge. It's got both the raunch and groove of Eighties hard rock, akin to something from the Sunset Strip, without the teased hair and spandex. Booze, babes, and all things rowdy are their fare. And this comes from four guys who, rather than being in a band, should be either at the bar downing shots of Wild Turkey, pumping their fists at the front of the stage, or brawling in the parking lot for no other reason than they can. Go figure. 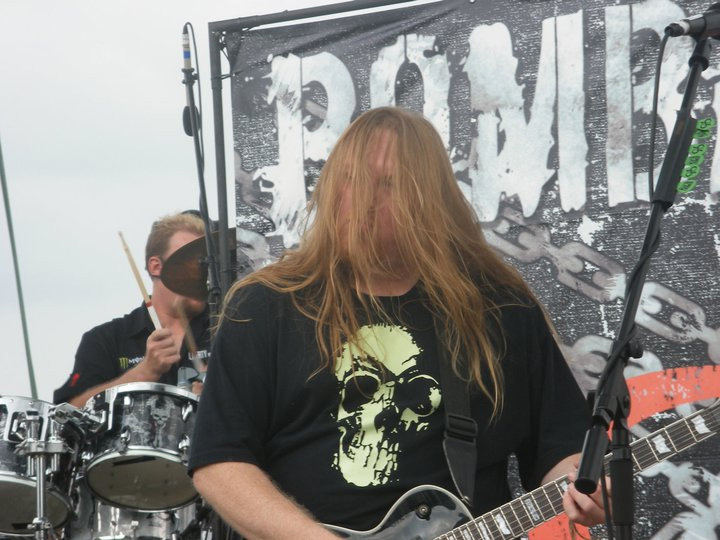 Bombay Black: guitarist attacked by his hair. Frankly, while there's certainly nothing inherently novel about their approach to hard rock, these guys are damn good, and they get it. There's songs move on a most important things: strong melodies, good vocal harmonies, catchy hooks, great choruses, ripping guitar work, and a strong groove from a hefty rhythm section. This carries across the entire album, but some notable tracks include Queen of Denial, Bad Boy, Dragon Tattoo, Love Like This, and Let Me Be. That latter song offers the closest thing to a ballad. You also have to appreciate Bombay Black's sometimes tongue-in-cheek humor and innuendo as found within All the Same in the Dark and Dragon Tattoo. Honestly, Bullets and Booze is a pleasant surprise, lots of fun, and highly entertaining. 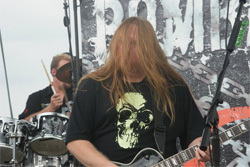 Most every song is nearly flawless for groove-laden melodic hard rock. Though I might pass on the title track and Take Another Picture, the album is still terrific. Strongly recommended. 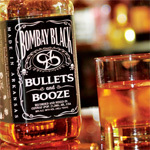 Bombay Black's Bullets and Booze is terrific and entertaining classic American melodic hard rock. Nuff said.